Bubby and Bean ::: Living Creatively: Want to Be Part of Bubby and Bean? 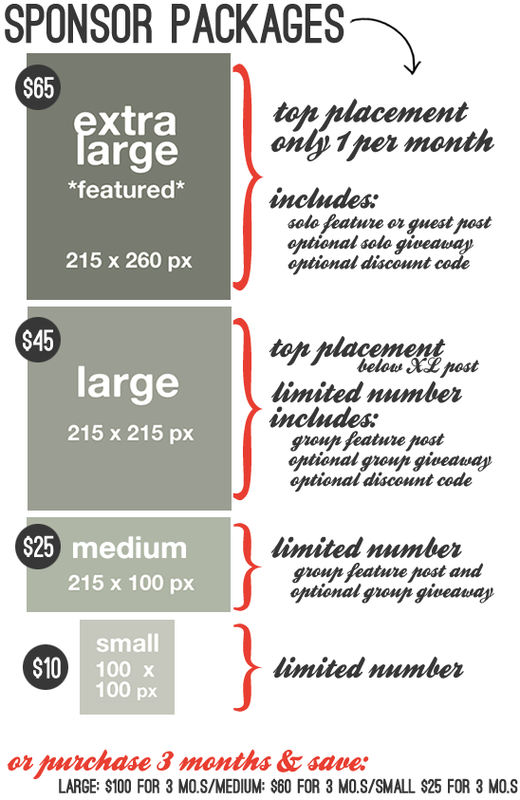 // Now Accepting February Sponsors! Want to Be Part of Bubby and Bean? // Now Accepting February Sponsors! 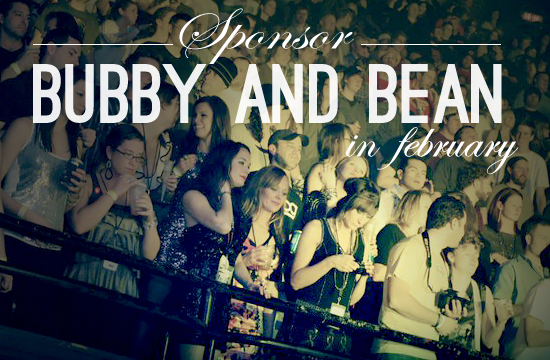 This is the official call for February Sponsors here at Bubby & Bean: Living Creatively! I have tons of fun, new things planned for next month: DIY tutorials, fashion features and "what I wore" posts, home decor posts, recipes, a special Bubby tribute, giveaways, and lots more. And you can be a part of it through a Bubby and Bean Sponsorship! BLOG >> In the past month, Bubby & Bean received over 53,100 page views, and had 26,300 unique visitors. We currently have 2,380+ subscribers via readers, Google Friend Connect, and Bloglovin', a number that grows daily. TWITTER >> We tweet several times a day to our nearly 4,300+ followers on Twitter about new Bubby & Bean content with links to this site. FACEBOOK >> Our combined Mountains of the Moon page and Bubby & Bean Art page have 4,220+ fans/likes. The Bubby and Bean Blog is linked on both of these pages, and we post daily status updates with links to this blog. Looking forward to a seriously awesome February!